The text Romulus, My Father is categorised as a memoir in this website and in the attached essay. What do we expect of a life story? Autobiography, biography, memoir, life story – all the genres are linked and yet they are distinctive. Write what you think each term means. There are countless reasons for the writing of autobiographies and biographies. Many autobiographies are a reaction to a moment of crisis such as disability or a death. Some are written for a political purpose and seek to examine national identity or race through an exploration of personal identity. Others are composed in an attempt to try to understand the past and different times. Some are written in an attempt to make sense of a life and to show growth. Autobiographies may be written to share a culture or experiences different from ‘the normal’. They may be written to give another side to a story or as a reaction to a previous autobiography which it was felt created a ‘false’ truth. It may be because new evidence has been discovered or released. In ancient times biographies were about the lives of famous people, those with a public profile. There was an attempt to find out what it was that made that person famous, but nowadays we are just as interested in what it is that makes the everyday person live a good life. Modern life writing is an acknowledgement that everybody is a part of their context and everyone’s story is important. Find definitions of biography, autobiography and memoir. Read the essay by Klari Gislason that is on this website. They can consider how memoir is defined by Gislason and what he believes is the impact of the form on meaning in the text. As students read Romulus, My Father they should consider what is the purpose of this text. 1. Working in groups students could use the images of of childhood letters (provided below with permission from Raimond Gaita) to speculate about the boy, Raimond. What might be the child’s interests? Why would he be writing to his mother? Why would they be separated? Who might this person Mitru be? Why do you think he changes from writing in German to writing in English? What information can we glean about the child’s life from the pictures? 2. The ideas generated by the group could form the basis for an individual writing task where students imagine the boy, an incident and characters in his life, embedding the letters in some way in the created text. NB: All of the above letters, reproduced with permission from Raimond Gaita are available for classroom use in this attached document (PDF, 922KB). Would the evidence used for each form be different? Why or why not? What is the role of emotional response in each of these genres? Is any one genre more factual and objective than another in the list above? Why? What do students think ‘bearing witness’ means? The impetus for this book was the death of Raimond Gaita’s father and the eulogy he delivered at his funeral. This adds yet another genre to the consideration of the book. Students can look up the definition and features of a eulogy. They might read a famous eulogy. As they read Romulus, My Father they can locate phrases that they think could have been part of the eulogy. They can construct a eulogy of 500 words using the information in the book, conscious of the process of selection. the exploration of the self in life writing. 6 billion stories and counting (SBS identification) – 1 minute. Transcript Who is speaking? What is the event being shown? My story may never be told. My story is about family. My story is about courage. My story is about passion. My story is about God. My story it’s about the courage. SBS’s Six billion stories and counting – what is this referring to? Look at the structure of the video. Why does it start and end as it is? Why are some of the statements repeated: e.g. My story is about God/passion/family? Why are some images in black and white? What is the context of each of the people represented? Consider if this is social, political, cultural or personal. What could that individual’s story be? How important is it to know the context of that person? Why does anyone’s story matter? Even life stories follow a plot – often this is chronological as we see in this book, but given that the book is written after the events have occurred, it is from a perspective of experience and of reflection where events are seen in a new way with the benefit of hindsight. Find comments and references that show that the author is looking back and reassessing events with new insights. This book may be called Romulus, My Father and may start and end with the father but it is also a story of the son, the author. It is an attempt to make sense of a life through a highly significant father-son relationship. That Romulus, My Father can be read as tragedy is made even clearer by reading Arthur Miller’s essay on ‘The Tragedy of the Common Man’. Miller explains the connections between the traditional and the modern views of tragedy and extends the idea of the classical tragic hero, from a ruler or high ranking aristocrat, to a tragic hero befitting our modern age, the common man. What Miller sees as the defining feature of the tragic hero is that he ‘demonstrates the indestructible will of man to achieve his humanity’. If we accept Miller’s definition that tragedy is ‘the consequence of a man’s total compulsion to evaluate himself justly’, then we see clearly that Romulus’ life as drawn by his son Raimond is a tragedy. Romulus’ insistence on character as the measurement of a man’s worth, especially as this is applied to himself, fits in with Miller’s description of the tragic hero. Miller also insists that, unlike the modern definition of tragedy as an event ‘of necessity allied to pessimism’, or as ‘a story with a sad or unhappy ending’, that ‘in truth tragedy implies more optimism’. Tragedy, he argues is ‘the belief-optimistic, if you will, in the perfectibility of man.’ To see this story as a ‘sad’ story ignores the very positive ‘optimism’ that is clear at all stages of the book. The tragedy becomes a celebration of humanity, because it shows the strength of the individual to maintain integrity in difficult circumstances. The Classical Greek tragedy appears more rigid in its structure and dramatic conventions than Romulus my Father. It is worth, however, mapping the plot of the memoir against the classic tragic plot. Use these definitions of tragedy and the graph of Aristotle’s understanding of tragedy to answer the questions below. Story of a great man who has fallen from power because of a flaw and his story follows a predetermined pattern. Story with sad ending about loss. Story of the struggle of humanity with a sense of optimism. Find out what the terms on the tragic plot mean and then map out the events of Romulus’ life against the Aristotelian tragic structure graph. Do you agree that this book can be seen as a Greek tragedy? Now consider the stories of Raimond and Christina – map out their lives against the graph. To what extent can their stories be regarded as part of the tragedy? Go to the notes from Richard Roxburgh who directed the film of Romulus, My Father. He writes ‘We follow the boy’s journey through seemingly insuperable tragedy’. Why does he think this is a tragedy? Does this fit in with Miller’s or Aristotle’s definition of tragedy? Characters in novels imitate real life – they are created through characterisation, the attribution of human qualities as responses to events and other characters, to explore an aspect of humanity. As a memoir, the characters are based on real people; but even life writing borrows from the creativity of fiction. People are seen as representing values, so events and relationships are selected to illustrate those values that the author wants us to see in the person being depicted. In After Romulus, Gaita acknowledges the importance of values in Romulus, My Father, which he says ‘is written in a narrative genre that is shaped by the perspective determined by my father’s values’. For example, most of the people close to the Gaita family are described as ‘educated’ which clearly becomes a value that Gaita is conveying in his book. His father loved learning but ‘missed out on a scholarship because of a poor postal service’ (p. 3), his mother was ‘well-educated’ and studying chemistry (p. 6), the two Hora brothers were also ‘well-educated’ (p. 14) – even Vacek is well-educated ‘for the times’ (p. 67). In this book, an even more important measurement of the worth of a person is their moral values. Raimond Gaita’s account of his father is very much about a man of integrity who maintained his self-respect by abiding by an unwritten set of rules about good and honest behaviour. Students complete the diagram below to build up a picture of Romulus Gaita. Students can work in groups and focus on two chapters per group and then share their findings so the table is comprehensive. 3. When the table is completed students write a paragraph about the way Romulus has been represented in the text. 4. Students form groups. Using the same table, each group focuses closely on another character, choosing from Christina, Mitru, Hora, Vacek, Raimond, and shares their findings. They synthesise their information to answer the question: What aspects of character does each of the characters represent? 5. The growth of Raimond from a boy is very much at the heart of the book. As the book progresses he says, ‘my relationship with my father had changed because I had asserted my independence’ (p. 155). Students should trace Raimond’s growth and the impact of other people on him. Like many words in English the word character can have very different meanings. As well as an imitation of real people, we can use the word character as a value and it is this sense of the word that Gaita uses to describe his father and what his father valued. To be regarded as a man of character is, for Romulus, the highest form of praise. It is about integrity and living by worthy principles. This belief in character links Romulus with his friend Hora, who occupies a great deal of the book. Assessing character: Thinking first of their own ideals and then Romulus’ ideals, students could consider the actions and attitudes below and decide whether they are a mark of character or not. To feed your children before yourself. To give to others who need it more than you. To struggle to get a good job for yourself. To find the best in people. To be proud of your work. To be suspicious of others. To stand by your promises. What concept of character emerges from these quotations from the book? Students can then find examples of actions Romulus does, or things he says that illustrate his idea of character. Find descriptions of places in the book and how they affected the characters. Include: school, Frogmore, Maryborough, Melbourne. Use the photograph of Frogmore (1963 reproduced with the permission of Raimond Gaita) that appears below. How similar or different is it to what they have just read or imagined? In the discussion on character, we see the importance of education in identifying like-minded people. Education becomes an important act of transformation, removing Raimond Gaita, the boy, from the world of Romulus to the different world of Raimond Gaita, the philosopher – implicit through the context of the author but also made clear through repeated comments on what was learnt. The learning, however, is not from school, but primarily from the two men Romulus and Hora. Students can complete these sentences on what was learned. Have students explore their own beliefs and attitudes about education. Invite them to think about important educational influences in their life and what they have learned from parents, friends, teachers and others. They could then express their views in a thesis statement that can be explored in depth. Based on this statement they could write a blog on the topic using an anecdote and personal experiences to support their ideas. Is the truth always the right thing? Can we believe the truth and not be truthful about ourselves? The concept of truth is an important one in the book, presented by Romulus as an ideal to live by; but as the book progresses, Raimond Gaita starts to interrogate Romulus’ definition of truth which fails to include self-knowledge. Add any relevant quotations or events to the list below and consider what Raimond Gaita is saying about truth and its relationship to our lives. What does Romulus’ position on truth show about his character? Students could choose one of the following themes and trace it through the book and represent it in a visual or graphic form with a clear statement about what the text is saying about that theme. The differences between religion and spiritualism. The importance of pride in one’s work. 1. Read the article: ‘What is decency?’ by Springer and consider what ‘decency’ is for you. one that you don’t find adequate. Share these with a partner, explaining your choice to arrive at a joint statement of an ethical position for our time. 3. Together, or individually, prepare your own pin based on this statement. Use an attractive visual design to make it stand out and construct a Pinterest board on the wall at school to display your combined beliefs. 4. Using the class Pinterest as a stimulus, write a narrative using the actions and ideas of a character to illustrate an ethical idea. The different world view of the mid-twentieth century is often used as a justification in this book. Many events and attitudes are seen against a backdrop of their times with the people as victims of their times. In many sections, Australia is set against Europe to show the significance of Australian beliefs and ideas against those of the wider world. Like all philosophers Raimond Gaita is interested in what it means to be human, what we value, what is moral and good and how we live our lives. The titles of his books show that he has a wide range of beliefs on: how we think about right and wrong, how we treat animals, how morality fares in war and politics and what we believe about emotions such as love and truth, justice and multiculturalism. Find out what a philosopher does. What comments in the book sound like a philosopher’s comments? List the titles of Gaita’s books. Next to each, write an idea of what the subject sounds like – they might want to read reviews to get more ideas. When they have read Romulus, My Father they then add any references to these ideas that they find in the memoir. 3. Read the interview with ‘Raimond Gaita on Romulus, My Father and Belonging’ (PDF, 2MB) (Metaphor, Issue 1, 2009) for more information about the author’s life. The author has made it clear that this is not a migrant story. The context of immigration is merely a backdrop against which the events of a life take place. There are, however, comments about the changing face of Australia due to immigration. There are also comparisons with life as an Eastern European. The migrant story therefore offers a social and historical understanding of Australia from the 1950s, as New Australians came with different values and understandings of the physical world. 2. Students can find examples of each of the above stages of immigration in the book. 3. Tracing the migrant journey in the book. The local newspaper ridiculed the New Australian for his folly. Those were the days before multiculturalism – immigrants were tolerated, but seldom accorded the respect they deserved. What evidence is there in the book of prejudice against immigrants? What does the term New Australian imply for you? What Australian features does the author praise? What are the attitudes and beliefs that are being discussed in these extracts and how are these attitudes changing or challenged? There are often comparisons between Australia and European thought. Find these and determine why they are used by the author. While this is not primarily a book about the immigrant’s story it leads to some understanding of the life of the immigrant in Australia. Students may write a paragraph on what we learn about the migrant’s story from reading this book. Alternatively they can write a piece of imaginative writing as a migrant in a camp, using one of the images of Bonegilla migrant camp (Google images) as a stimulus. NB: In After Romulus when Gaita is discussing his readers, he uses the feminine pronoun she rather than the traditionally used he which reveals an extension of his father’s egalitarian attitude to women. Students can consider the women in the book, how they are treated and how they are discussed (Christine, Miss Collard, Mrs Lillie, Milka, Lydia, Mrs Foschia, Lydia’s mother). They can compare this to the representations of males to gain insight into the gender attitudes of the time. C. Gislason, in the essay that goes with this resource, writes about the ‘voice of a man who is farewelling his father’, with ‘relatively little dialogue’ and ‘less scene building than other works.’ Helen Garner, he says describes Gaita’s voice as ‘wonderfully serious, and terrified of being sentimental.’ This is admitted in Gaita’s After Romulus where he discusses the danger of oversentimentality. He discusses the attitude that style (‘the literary quality of the sentences…the tone of voice…the aesthetic quality of the images’) is regarded by many as an ‘adornment’ that becomes a distraction from truth, appealing to the ‘heart rather than to the head’ (After Romulus, pp. 96–7). Ask students to locate any ‘sentimentality’ in the book. This raises the question of what this means and how we locate sentimentality. If students break into groups they can explore one chapter per group. They can look for words that are expressing emotion, for example verbs such as felt, adverbs such as angrily, adjectives such as sad. They then need to ask themselves: Are these words sentimental? NB: This activity leads students to an understanding of language and how it is used. Students can then debate: Can a book move the reader without recourse to sentimentality? Structure is also important. The book is chronological with moments that cross time where an event may be reassessed with insight from the future. It is divided into chapters focused on an idea. Ask students to name the chapters in a way that makes clear the main idea. They should also write two statements on each chapter: one that sums up the content; the other that sums up the ideas. Placing the two statements next to each other we see the relationship between ideas and content – the content is the evidence for the idea. Model the task with students using this sample of Chapter one and asking if they agree. Do the sentences below sum up the chapter effectively? While the book is significant in its own right, its adaptation into film both extends and changes its impact. The acceptance of any story into the more popular filmic form requires some transformation of the story, often without the author’s consent. Gaita, however, was involved in this adaptation, and discusses the process and his reactions in the essay, ‘From Book to Film’ in After Romulus. He says he saw the book as a ‘tragic poem’ requiring a screenwriter with a ‘European sensibility’. He describes Roxburgh’s film as a ‘film of heartrending power and directed with elegant restraint’ (p. 121) but finds that it places Rai (himself) at the centre of the film. He feels that the depiction of Christine is sympathetic. The film is assessed as truthful in its depiction of suffering which does not become an immigrant story. But he also acknowledges that a film has to be different in order to be true to the ‘spirit of the book.’ (p. 148). Students can watch the trailer and consider how the story has been changed. A worksheet with the trailer transcript (PDF, 101KB) is attached for students to work on. Students can explore the process of adaptation and consider the question: How does the book retain its integrity in a new format? Is maintaining the integrity of the text about copying the textual features such as plot, characterisation or setting or is it more about the mood, the tone and the ideas? Can we reconcile both parts when we transform the story to film? In other words, how can a film remain truthful to the book? Students can work at the level of the scene – read a scene from the book and list the elements of plot, character and setting alongside the mood, tone and ideas. Then they view the same scene and consider the effect. How does the addition of the visual and aural elements affect their original ideas? Experimenting: students can work in groups. They work on a book scene to construct their own film script with dialogue, movements, suggestions of camera angles, lighting and music. They can share their results with others and can be given peer advice. In After Romulus, Raimond Gaita quotes Socrates who wrote: ‘an unexamined life is not worthy of a human being.’ He realises, ‘I have spent much of my life thinking about what I learned from my father and Hora.’ (p. 49). What is it that drives us to read and write memoirs? how the author examines a life. The book Romulus, My Father cannot be considered alone – it is part of a suite of books that become self-referencing and reinforce the legacy of the father, Romulus, and his friend, Hora. Books of philosophy written by the philosopher Raimond Gaita, influenced by the teaching of Romulus and Hora. The eulogy (edited in Quadrant) that acted as the impetus for the book, Romulus, My Father, following the urgings of friends: ‘The response to its publication persuaded me to write a book about my father.’ (see ‘Acknowledgements’ in Romulus, My Father). 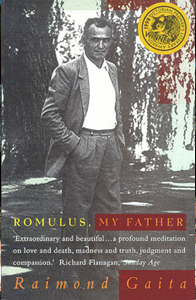 The autobiography/memoir Romulus, My Father (1998), which acts as a panegyric (a song of praise) for Romulus, while also tracing the foundations of the philosopher Raimond in his upbringing. The Philosopher’s Dog (2002) – popular philosophy around the idea of animals responding to issues and referencing anecdotes around animals that arise in the book. Gaita writes: ‘I hope that readers of Romulus will not mind reading again and more about Jack the cockatoo and Orloff the dog.’ (p. 3). The film Romulus, My Father (2007) – offering a slightly different perspective in a script and film sanctioned by the author. The book After Romulus (2011) which is a postscript to the autobiography/memoir and the film, referencing both, as well as letters and meetings with people affected by the film and book. Gaita explains that: ‘The book and film created discussions and raised questions that affected me in ways I could not have anticipated. The essays in this book are partly a response to those questions …’ (p. 6). To understand the dialogue that takes place between the texts around Romulus we can use Aristotle’s rhetorical triangle of ethos, logos and pathos. Written originally to explain the requirements of a speech, it has been adapted to modern media and visual texts. 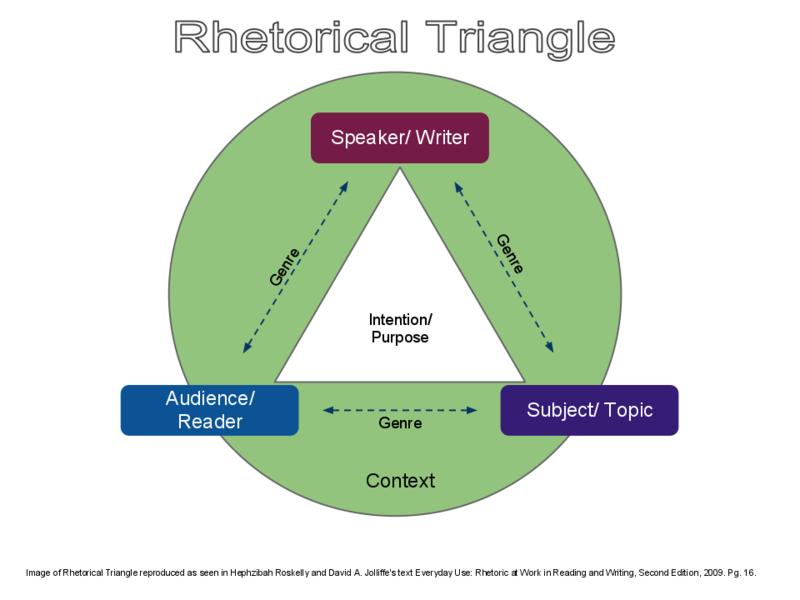 At the most basic level the triangle involves Ethos (trust in the speaker/author), Pathos (feelings in the audience) and Logos (the structure of the text). The way each of these elements is mediated depends on the purpose of the text. In his academic texts he is a philosopher with a belief system that comes from his father, a fact he admits in After Romulus saying, ‘my first philosophical book, often described as radical and controversial, was profoundly influenced by my father’s example, but I did not appreciate the extent or depth of it until some years after I had written Romulus, My Father. In Romulus, My Father, he is a respectful son who uses the words of another philosopher, Plato, to explain the impact of his own father on his engagement with philosophy (‘those who love and seek wisdom are clinging in recollection to things they once saw’ p. 74), ‘in a book of ‘philosophising by a son – a philosopher to the core.’ (in After Romulus, p. 8, about Romulus, My Father). In The Philosopher’s Dog he wanders between the two selves warning the reader that this book which brings storytelling and philosophy together has a ‘mildly didactic purpose’ (p. 2). So his advice to readers ‘who find some of the philosophical sections difficult, is to read on…remembering that all philosophy benefits from, and most philosophy requires, more than one reading.’ (p. 2) Gaita is conscious of an audience who have read Romulus, My Father and will read again about Jack the cockatoo and Orloff the dog. (p. 3). After Romulus directly references the earlier text (biography) in its title and engages with many of the people, relationships and issues from the book as well as the making of the film. Again he anticipates the audience of Romulus, My Father, hoping that readers will find in the essays ‘the voice they heard in Romulus, My Father’. (p. 10). Students will design a website for the author. They can use Weebly or just present a series of visual representations. Note that using the weebly site means that students are restrained by the templates, but it has the advantage of being an authentic engagement with a digital text which they learn to use. Most authors or their publishers develop websites to promote their work and to interact with their readers. Two examples of Australian authors who do this are Shaun Tan and Marcus Zusak. What aspects of the author’s life and work does each website promote? The kind of person being portrayed. The kind of relationship drawn with the audience. Students also should describe or graphically represent the navigation and the structure of the website’s home page, noting how one moves between the pages (links – drop down boxes, navigation bars, side bars, top ribbon, etc.). They may find it useful to first list some terms that are used for websites, so that they have the right language to engage with this topic. Imagine that Raimond Gaita’s publisher wants a website devised for his author. The film has generated additional interest and readers expect to be able to go to an author website where they can find out more. In this case, however, the website has to be true to the author and his standing as a philosopher. one page on anything else you think is needed (another book or film or other information). It isn’t just about giving information but conveying who the author is and representing him respectfully as a philosopher. To do this you also need to understand web design and language. Visit a few sites by authors and take note of what they do and how they are structured (see Shaun Tan and Markus Zusak as previously referenced). You can use Weebly to construct the website. Make sure you convey the author’s beliefs and reflect on who he is. You can locate images from Google or use the images that have been provided with Raimond Gaita’s permission (PDF, 922KB). Parker, D, and Gaita, R ‘Multiculuralism and Universalism in Romulus, My Father‘ (with a response by Raimond Gaita). NB: This is reproduced via Informit, a subscription service. Find a summary table for Australian Curriculum: English content descriptions. MEL DIXON has taught English in two states at regional and city schools for nearly 30 years, and was a Head of Department for ten years. She is presently the Resources Officer and Consultant for ETA NSW and editor of the journal Metaphor, (previously editor of Words’ Worth ETAQ). She has published chapters in various English textbooks on the Australian Curriculum, Language and NSW HSC English.